Encouraging Signs For The Real Estate Market? Maybe things are getting better. Pending sales of homes in the U.S. rose in June for the fifth straight month, according to the National Association of Realtors. For the first time in five years, sales of homes have risen for three months in a row, according to NAR.Â Sellers pricing their properties attractively, low mortgage rates and the $8,000 tax credit for first-time home buyers are getting credit for the rise. New sales statistics give reason to be optimistic about the real estate market. For a number of market analysts, this trend is better than expected, and gives reason to believe the real estate market will continue to improve. 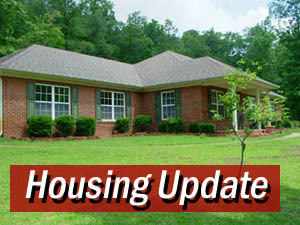 In the North Shelby county/Hoover area, 787 properties are for sale as August gets underway, according to the Birmingham Multiple Listing System.Â 391 properties are for sale in the Alabaster, Maylene and Saginaw areas, while 505 are for sale in the Shelby county portions of the Helena and Pelham areas.